Waterproof & Breathable Mattress protectors to fit 4ft Beds. We have two types of waterproof protector fabric available. Both are discreet and comfortable and give 100% protection against spills and dirt. TENCEL PROTECTORS: The protector that feels like a fitted sheet! Derived from a natural origin TENCEL feels just like a cotton sheet, with a non noisy breathable membrane on the reverse side. It can absorb moisture is beautifully soft and skin friendly. 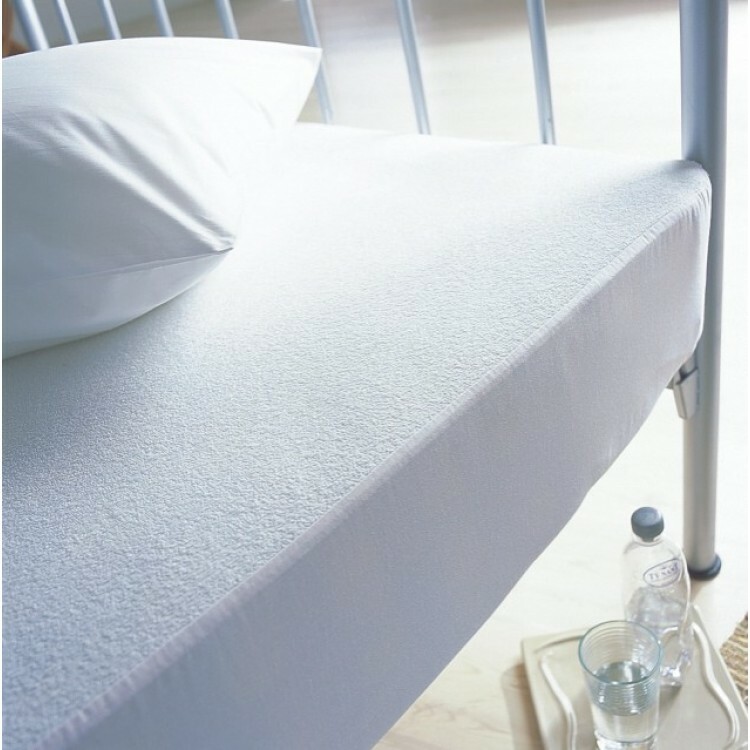 Because the cover controls moisture and temperature in the bed, it restricts bacterial growth and maintains a cool temperature. Washable up to 95ºC and tumble dried low-medium heat. QUILTED WATERPROOF: Protection with an added layer of comfort. Polyester wadded like any other mattress protector for an extra layer of snugness. Backed with a discreet, non noisy waterproof membrane to keep your mattress protected. Anti allergenic due to its polyester wadding. Machine washable up to 95ºC, tumble dryable. Because Victoria Linen cut our protectors to order we can make a cover that will fit perfectly, even if your 4ft mattress is extra deep.